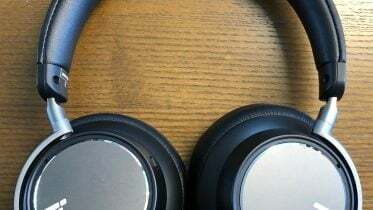 BMW uses the mantra of “The Ultimate Driving Machine” and I am sure the marketing departments of other automotive brands burn the midnight oil trying to come up with something just as catchy and arrogant. Good news is that BMW can back up this boast as its vehicles are, for the most part, some of the best driving cars in the world and almost always held up as the gold standard in their respective segments. Our recent experience with The Ultimate Driving Machine arrived in the form of the 228i Coupe powered by a peppy yet smooth turbocharged 2.0-liter inline four-cylinder engine that featured direct injection and generated some 240hp (255 lb. ft. torque) of driving pleasure. This was mated to a very smooth 8-speed Sport automatic gearbox that featured (requisite) steering wheel paddle shifters and Driving Dynamics Control featuring Eco Pro, Comfort, Sport and Sport+ modes. 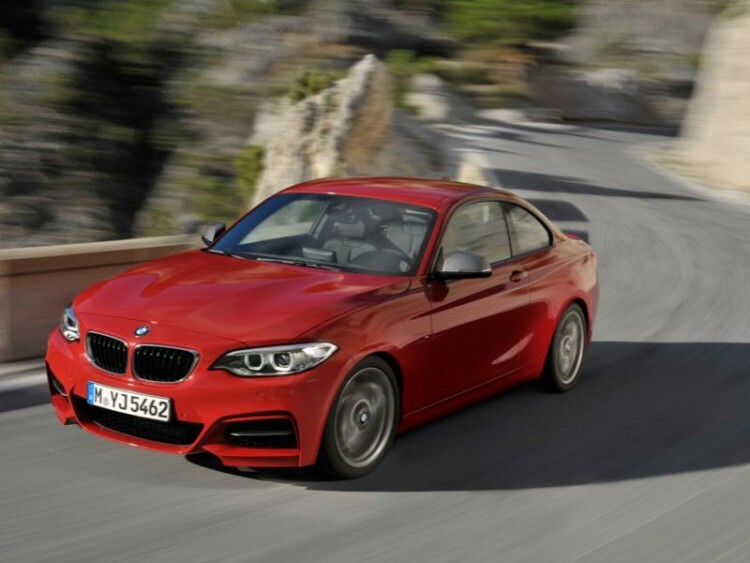 The new 2 Series Coupes feature top speeds of 130 mph or 155 mph with Sport Line and M Sport models. I believe our vehicle was Sport Line equipped as the 130 was an easy target. 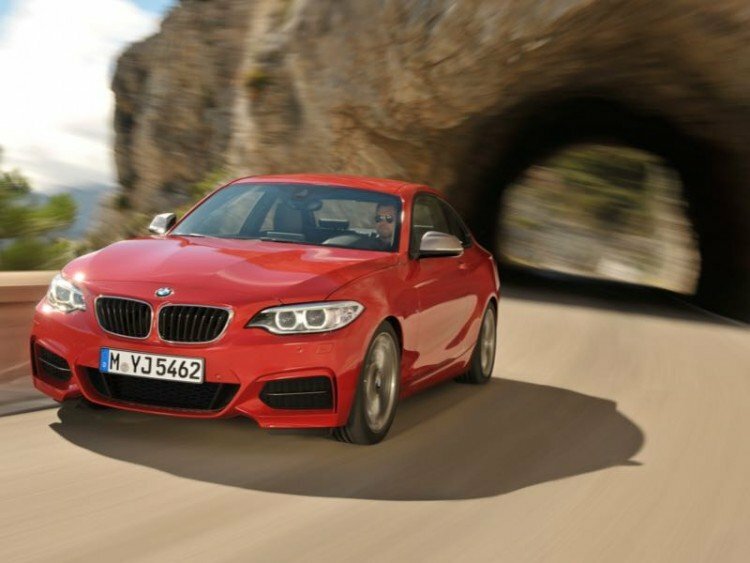 And while the new 2 Series Coupe is a blast to drive featuring great acceleration and smooth, full-on power all the way through the speedometer it does achieve good fuel economy as well. The new BMW Efficient Dynamics technology includes Air Curtains (designed into the outer edges of the front apron), Eco Pro drive mode, and Auto Start/Stop function to combine for EPA ratings of 23 mpg city and 35 mpg highway. Being a BMW, the new 2 Series is constructed with Bavarian technology and architecture to ensure a solid chassis and superior driving control be it on city streets, open highway, or European Autobahn. The car responds quickly and appropriately to all driver inputs be it steering, accelerator, gear shift, or brakes. Our tester also arrived with the added advantage of xDrive all-wheel-drive system for optimum road-hugging character. Style wise, the new 2 Series Coupe is classic modern BMW in that if features the automaker’s hallmark three-box body structure with clear distinction between roofline and trunk that also features a long hood, short overhangs, set-back passenger compartment, and sweeping roofline. Modern swage lines run the length of the vehicle on the sides and taper distinctly towards the signature BMW kidney grille up front. 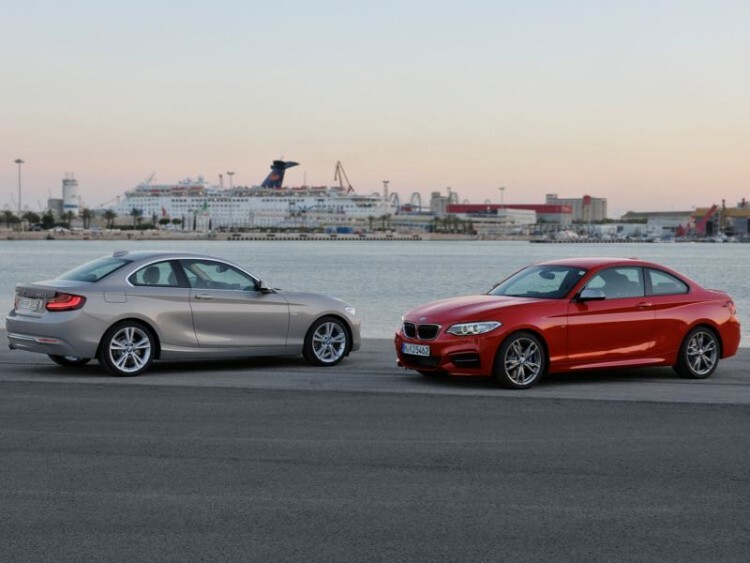 The 2 Series Coupe is some 4.3 inches longer than the outgoing 1 Series cars and the new body styling is more aerodynamic. 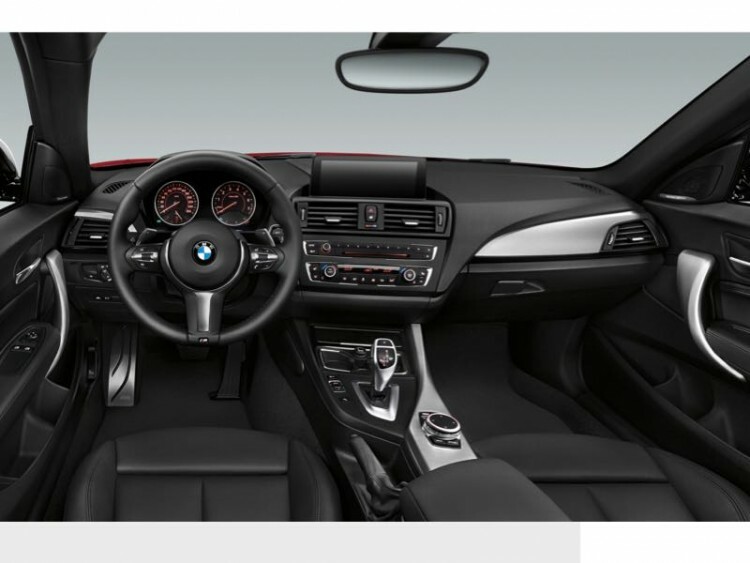 Inside the styling and amenities are every bit as nice as the exterior of this new Bimmer and the automaker includes all of the latest technological advancements including BMW’s latest iDrive infotainment system as well as HiFi audio system with HD Radio and USB and Bluetooth connectivity. Truth be told, I have always been a fan of sedans and not coupes. I would not enjoy having to climb in and out of the back seat area of this vehicle were it to belong to my parents nor would I want to have to put the child seats back there just because my days of flexibility and agility are ending. No worries, BMW does make excellent driving cars with four doors. The 2 Series Coupes are priced affordably (for a Bimmer) with the 228i xDrive Coupe having a base MSRP of $33,900 and this tester arriving with a final sticker of $37,550 thanks to the addition of the Sport Line and track handling package (M Sport brakes, steering, and adaptive suspension). 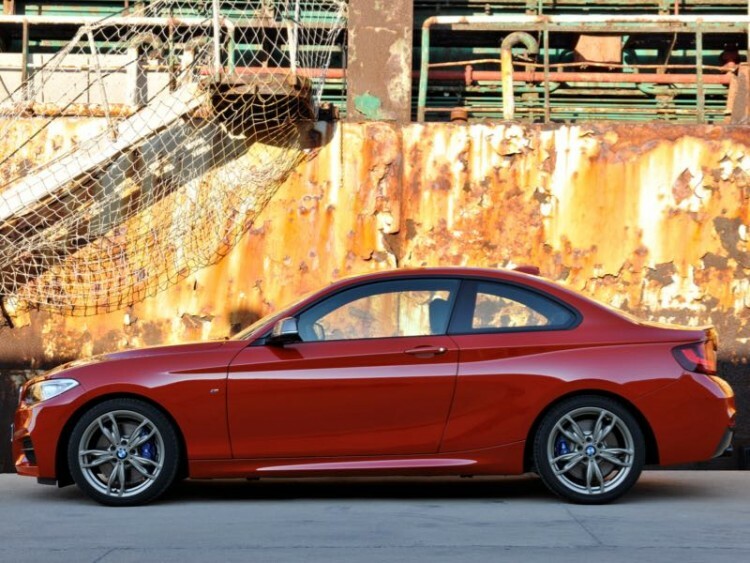 The 2015 BMW 2 Series Coupe is the modern interpretation of classic subcompact sport coupe driving and pays homage to the iconic 2002 introduced in 1968. The new coupe offers all of the newest technologies and advancements in automotive design and engineering but never forgets its roots and certainly lives up to the moniker of The Ultimate Driving Machine.